Many times I hear my students say they’ve become the go-to copyright person, regardless of whether they’re librarians, library directors, information managers or architects, content managers, risk management specialists, communications specialists or editors, and whether they work in libraries, archives, museums, and for-profit or non-profit organizations. If you feel that you’ve fallen into this position (or if you’ve chosen it), follow the five-point plan below to get up and running. The plan is for any nonlawyer who’s that go-to copyright person. If you’re handling copyright and licensing issues but your job title doesn’t have the word “copyright” in it, get that changed. 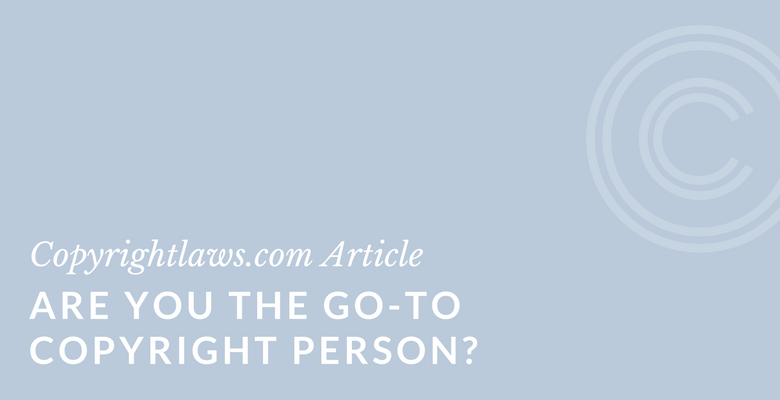 You want fellow employees to find you in the company directory; you need people to follow your advice when you tell them they can’t copy a newsletter or other item; and you need confirmation in your own mind that you are, in fact, the go-to copyright person. Sample titles include Copyright Librarian and Copyright Officer. See our article Copyright Office and Team. Take the time to find out what’s happening on the copyright and licensing front in your library and organization. What sorts of copyright materials are being used? Are print books an issue, or just electronic books? Are there questions regarding public performance of movies, or concerns relating to copying sound recordings? Do you have licensing agreements that no one can understand? How are copyright and licensing issues resolved? Do you answer questions about copyright and licensing issues, or are they dealt with in different ways by different people? As that go-to copyright person, you can help organize and streamline copyright issues in your organization. As the copyright go-to person, you’ll find there are many things on which to spend money. 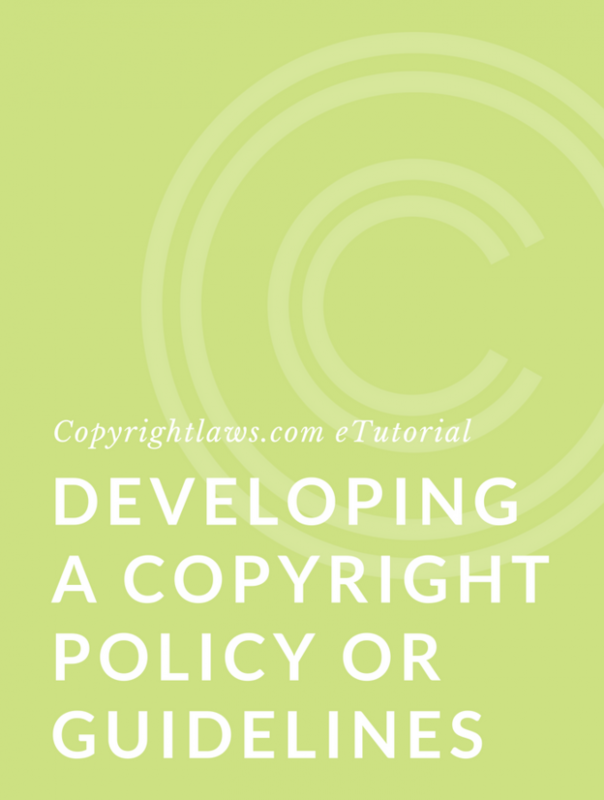 You’ll need to purchase books and newsletters about copyright and place them on a reference shelf/Intranet page for you and your colleagues to consult. 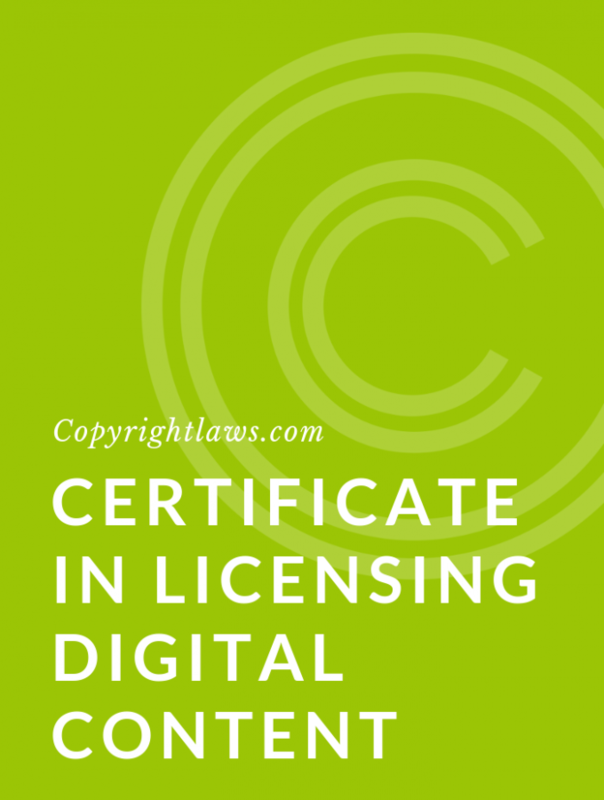 You’ll want some training in copyright law, and you may also want to train others with whom you work so they know the basics, too. You don’t need to get a law degree to be the copyright go-to person; in fact, many librarians and other non lawyers who work on copyright issues each day know more about managing copyright issues than do many lawyers. Locate books on copyright and licensing that are written for non lawyers (there are several available). Read websites and blogs (keep in mind that many of these many have a particular perspective rather than provide straightforward copyright information). Self-study can take you far on copyright issues. But you should also consider taking online and in-person courses to learn basic principles, upgrade your knowledge, and stay on top of changes in the law. you need to lead your copyright issues. See Copyrightlaws.com’s Copyright Leadership Certificate. If you like this article, you may also like A Simple Guide to Copyright for Librarians. If you’re the Go-To Copyright Person in your organization, you are an ideal candidate for the Copyright Leadership Certificate program.